This week I talk to my college roommate, Rege, who has a lot to say about planning! Yes, I mean like the kind of planning that encourages stickers and washi tape. Not sure what washi tape is? By the end of this episode you might want to *invest* in some. She leads the life of a Policy Analyst by day in a bedazzled cubicle and breaks up the boring cub life with crafts and hockey. 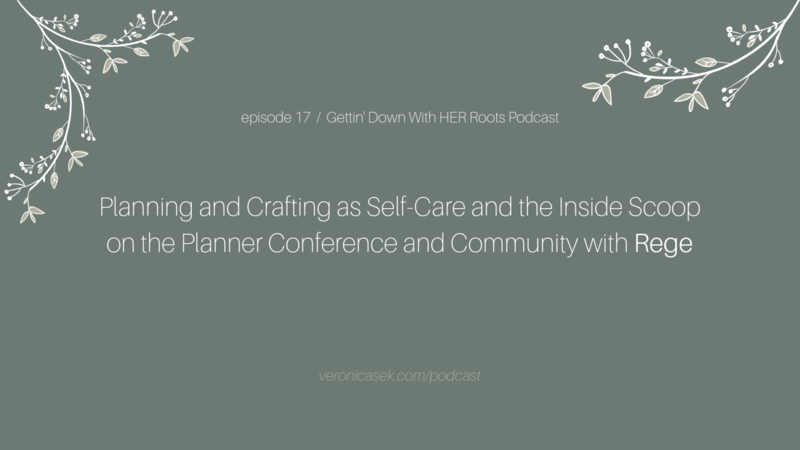 We dive into the world of planning, crafting, and how self-care doesn't always have to be a bubble bath and a glass of wine (though we believe in those too). If you asked Rege, she would say that planners save lives and it's totally cool to have a side hustle that doesn't turn into your career. She keeps it real, dive on in.